Cody is an assassin for the CIA. She no longer wants to be but she is. She has fled on occassion to stop being one but she still is. She is also a woman who is not afraid to use her body to get the job done. Actually, she is not afraid to use anything for with her training, anything within reach is a deadly weapon, including and perhaps especially her body. Her objections to her job are several, not least of which is she is tired of killing but also she is tired of being at their immediate call. Her life was not her own, her body was not hers, and her ability to make decisions for herself seemed a thing of the past. So she quit. 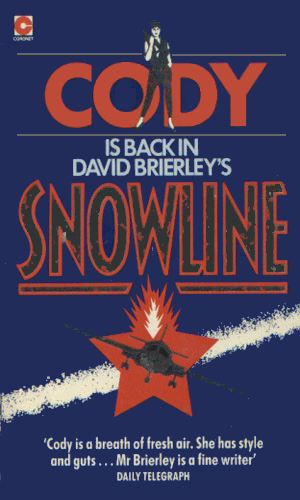 Cody had actually been initially recruited by the SIS. A British citizen who was attractive and smart but who lacked the financial resources to go to college, her life was in limbo as a young woman looking for a career when she was cornered at a party by an older man. The proposition he whispered to her was not the type she had expected. It was an offer to work for Her Majesty's government. With little better prospects she agreed. After a short indoctrination there, however, she and several other recruits were essentially "traded" to the CIA to appease relations after another high British intelligence officer defected. She was trained by the best to track, hunt, fight, seduce, and kill but mostly to survive. For four years thereafter she worked for the Agency but her balking at some assignments grew more irritating until finally she was told point-blank, "if we tell you to shack up with Comrade X ... you'll do it." Cody didn't want to be a hunter. She didn't like being a killer. She refused to be a prostitute. She quit, but walking away from the Agency is not easy. As the series progresses, she is learns the penalty for disobeying the Agency but survives and is finally able to get away, or so she thinks, but the puppermasters never really let go of the strings. To survive she has to take assignments in the private sector that have a lot of similarity to her previous employer. She might not be hired to eliminate a person but some of the assignments bring in people determined she not succeed and that leads to bloodshed. It also leads to more than just the CIA trying to manipulate her. It seems everyone with whom she comes in contact are out to maneuver her into doing their dirty work, whether it is Britain's SIS or France's Surete. She hates it but cannot find a way out. The last couple of adventures has Cody moving far away from her former work but her training and her instincts, as well as her talent for getting into the middle of trouble, have not left her. 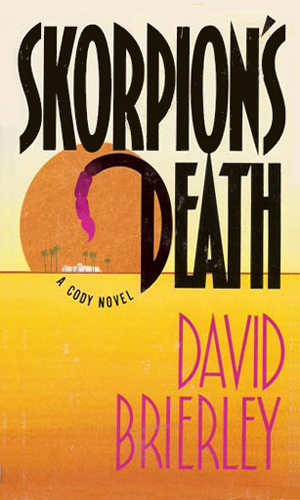 Note: The fifth and last book in the Cody series was written 13 years after the penultimate one. The author had moved on to other topics and tales, writing a half dozen books about people other than Cody. Eventually, it seems, he found something else to say about her. She had had enough working for the Agency and wanted out. They weren't ready for her to leave, though, and insisted on her taking the next assignment. Fleeing, she ran in someone's trap and wakes up in a mental hospital in East Berlin. Hiding in Paris and wanting to forget the things she had done in her previous life, Cody is coerced by the head of the French Surete to help stop a blackmail and kidnapping operation which is far more than just that. Cody was finished with danger and putting her life on the line. She had quit the Agency and was living quietly in Paris when she is begged to help find a missing husband, not knowing she would be going up against the Skorpion. Now working for herself, she is given the job of delivering $100,000 to a mission in a small village in the middle of El Salvador's civil war. 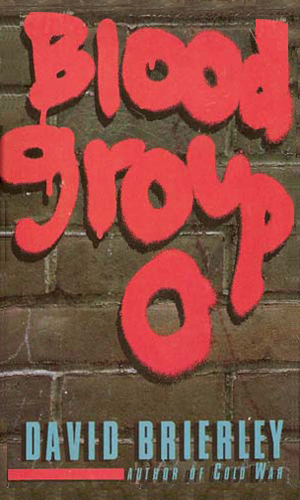 She soon learns there is no mission, just a gang of rebels waiting the money and willing to kill to get it. When a wealthy woman is murdered and her daughter kidnapped, Cody is asked to help investigate. When no ransom demand is forthcoming and the girl's father is hiding in a virtual fortress, Cody knows this is no ordinary crime. Read this series! I mean it, read the series. Do not make the idiotic error I did and get this confused with another female spy series starting with "C" which is not very good and pass by this series which is. I did that twice! A great deal later, I decided to try again but was ready to cringe yet again when I realized with extreme embarrassment that I had confused Cody with that other series. I read it from the beginning and realized how badly I had dealt Cody and the author. The writing in these novels is terrific and the plots are compelling. I should have known better since I had read his non-series debut novel Big Bear, Little Bear a couple decades ago and loved it. Cody is a very independent woman. She hates the idea of anyone controlling her in any way. She doesn't want marriage or even a lasting relationship because she hates being dominated. She won't work for others on a permanent basis for the same reason. How she manages to still have friends remains a mystery. As complex as this woman is, she is equally fascinating and if I ever needed someone in my corner, I would be happy with her. I don't think I would ever be friends with someone like Cody as her desire to be left alone makes her come off as icy. I know she'd hate me. But I do NOT hate the series like I thought I did. Mr. Brierley, I owe you a huge apology. I am so glad you revised your thinking on Cody (though how on Earth you confused her with Cadbury is another matter!). 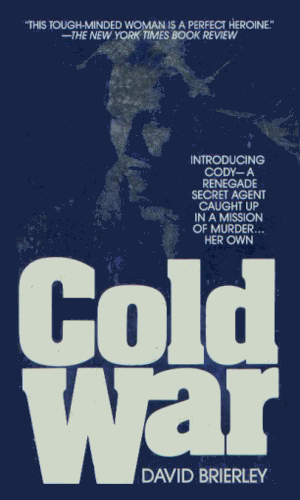 To me Cody was a more politically-aware Quiller and many of the action scenes presaged the Jason Bourne movies.